Listen to "Ep. #48 — Legislative Update #2" on Spreaker. HB 1139 – 13th Check passed out of House Ways and Means 22-0 and today 2nd reading in the House with no amendments. You testified in favor, no increase yet. As it moves to Senate side we will continue to ask/encourage a $50 dollar increase across the board. Cost additional $2.7 million along with the 21.7 on original amount. PERF is also working this angle. April Budget forecast will be the determining factor. At this point if you see your representative that them for their support HB 1139 (13th Check) and if you see your senator encourage them to support the 13th Check plus a $50 increase. Bill 1445 - DC Default/Early Retirement Age Increase – Early retirement age 95, 60/25, New hires that don’t chose go into default annuity. So far not scheduled for a hearing, but if it is and if Doc Brown wants it heard, it will be. Sen. Carbaugh’s bill 1059 Survivor’s Bill, is passing each hearing unanimously. SB 22 which is Sen. Boot’s bill that cleans up language in INPRS is passing through cleanly. Tax bills that effect 65 and over that raises the ceiling on the assessed valuation on your personal property that is available for a tax break. 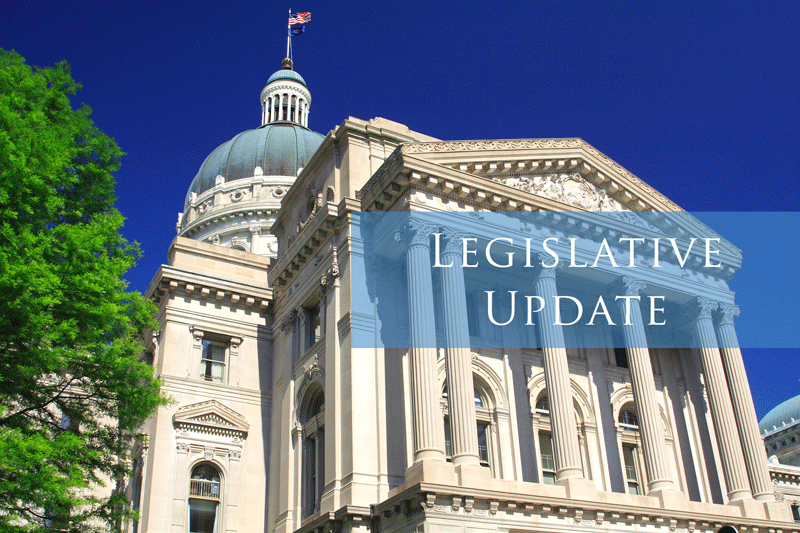 Their numbers are SB 280 (Houchin), 370 (Boots), and HB 1679 (Moed) We will watch and are in favor of these bills at this time. SB were assigned Tax/Fiscal and HB was assigned to Ways and Means. The SB 36 Elder Abuse Registry (Houchin) we are following and in support of has passed first reading 9-0 in Family and Child Services committee. Any other bills or issues you want to discuss? Bills are all filed and listed, and we have right around 1250 bills filed. Many will be heard and 200 will come out of committee.